Retired professional stock car driver Earnhardt candidly opens up about the end of his racing career and warns other athletes about the dangers of traumatic brain injuries. Earnhardt uses his charisma and a conversational tone "heck man" and "ain't" are sprinkled throughout to delve into heavy discussions of sports-related harm. 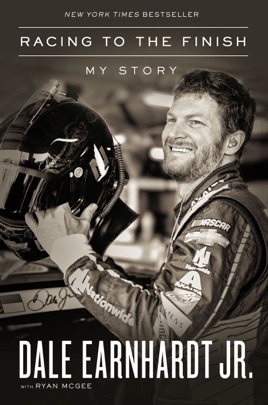 Introduced by Earnhardt's concussion specialist, the book illustrates the huge pressure athletes are placed under to sacrifice their health for career success, a burden acutely described through the lens of Earnhardt's experience hiding his condition from those closest to him. He recounts intense crashes that will have racing fans on the edges of their seats, and he also shares personal notes about his symptoms and struggles that he'd written on his iPhone: "Hit oil and slammed wall. Instant headache. Felt lazy and 1 beer drunk rest of day. Could fumble some speech and mind was forgetful. Don't consider this one as serious as some." Data-driven medical information and comparisons of concussion injuries in other professional sports leagues are also provided to stress the seriousness of the problem. Although religion is never at the forefront of the book, Earnhardt relies on his faith often during his struggles with concussions, a fact that comes through in his personal entries. For fans of racing or professional athletics in general, Earnhardt's worrying tale will be a wake-up call for reform and better health policies. Thank you Dale Jr for sharing your personal journey. To Dale, Jr. I can’t begin to tell you how much your book inspired me. You have been my favorite race car driver since I saw you race in your first Busch race. I am so very sorry about the horrible issues you faced over the past several years dealing with concussions. Your book will help many people struggling daily with these problems that are going undetected and untreated. You are an inspiration to all. I wish you, Amy and Isla Rose the most wonderful life and may God Bless you for your courage to tell your story.